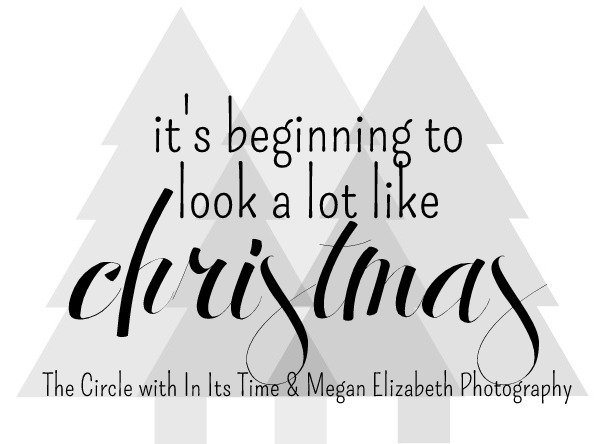 THE CIRCLE DECEMBER 2013 | IT'S BEGINNING TO LOOK A LOT LIKE CHRISTMAS. Sooo, I still can't believe it's December. I feel like I have lots to do and so little time to do it. Fortunately, one of the things that puts me back into the less-stressed mode of Christmas preparations is to decorate the house for Christmas. There's nothing like a little Christmas music, some cookies in the oven, and a fresh tree in the living room to liven up the house, amiright? And that's why I'm super excited about this month's The Circle topic. 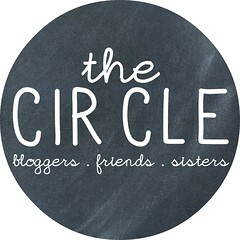 If you've never joined in and linked up with me before, here are the deets on what The Circle is all about. Don't worry, I'll wait while you read them all. Okay, ready to join in? Well, you can't link-up just yet. You've got to meet this month's co-host! Hi, I'm Megan! Wife to Sonny, fur Mommy to Duke. I live where the sun always shines in Florida, and wouldn't trade my 80 degree winters for anything. God has blessed me with an incredible passion for photography, one that's turning into a career. It's truly a dream. I love all things Cleveland sports, peppermint mocha coffee creamer even when it's not winter, shoes, calendars, journals, and The Office. I'm a sinner, saved by His grace. Learning to live life the way He intended it. I am so excited to be doing this months The Circle, mostly because a) who doesn't love Christmas, and b) it's also my birthday month. My blog is all my photography work along side snippets of my life, and I'd really love for you to come say hello! Oh, and did I mention Megan's also got the cutest hair? And puppy? And blog? And she's also this girl's pen pal. And yes, I'll also wait while you check out her blog/portfolio. Yep, we're talking Christmas. 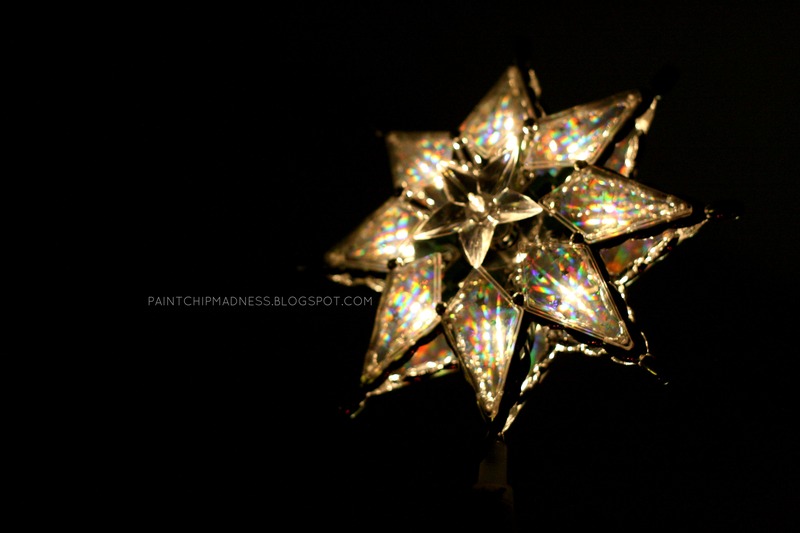 More specifically, we're sharing photos of our Christmas-y homes. Your Christmas tree, your stockings over your fireplace, your Advent calendar, or your outdoor Christmas lights. We want to spread the holiday cheer and share glimpses of our beautifully decorated homes with each other. Because if you're me, you love a good Christmas light display. So here's a peek into my home. So yes, you've got to keep scrolling to get to the link-up! First of all. 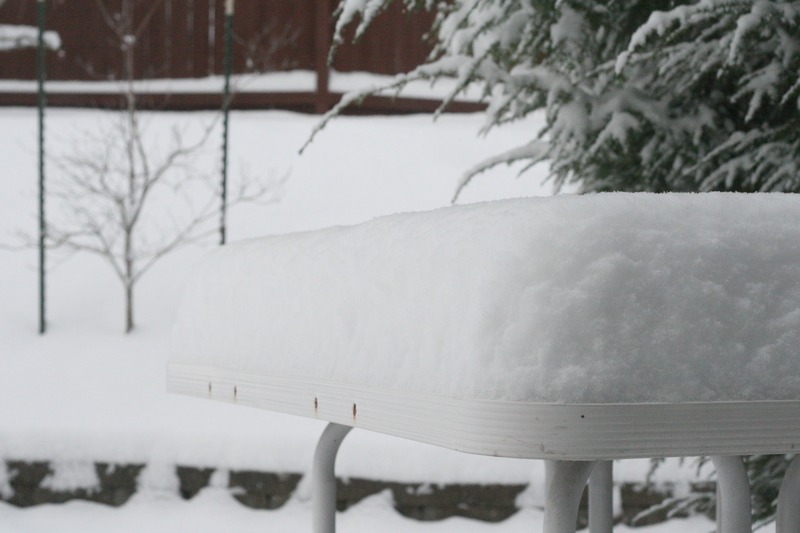 Let's just talk about this crazy snow we just had. Normally, the whole city goes crazy over half an inch. Yep, half an inch. Close to 8 inches? Yeah, things got craaaazzzy. 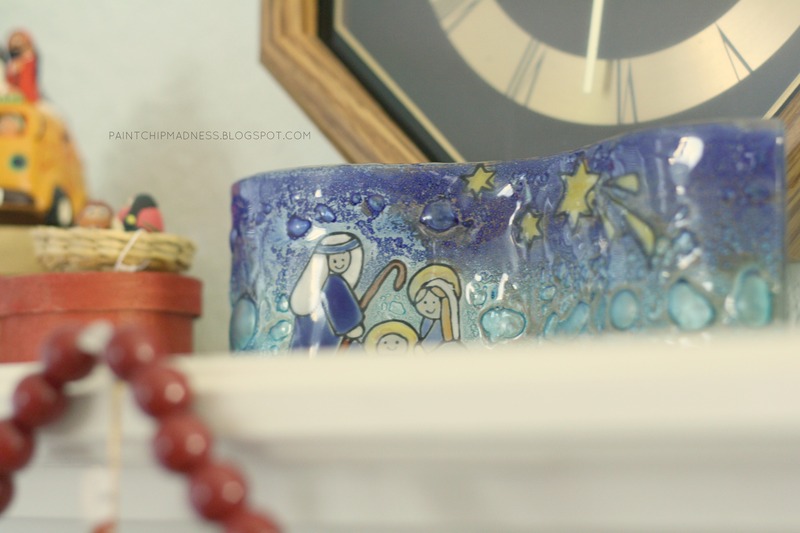 Christmas decor means two things in this house: nativity scenes + Christmas trees. 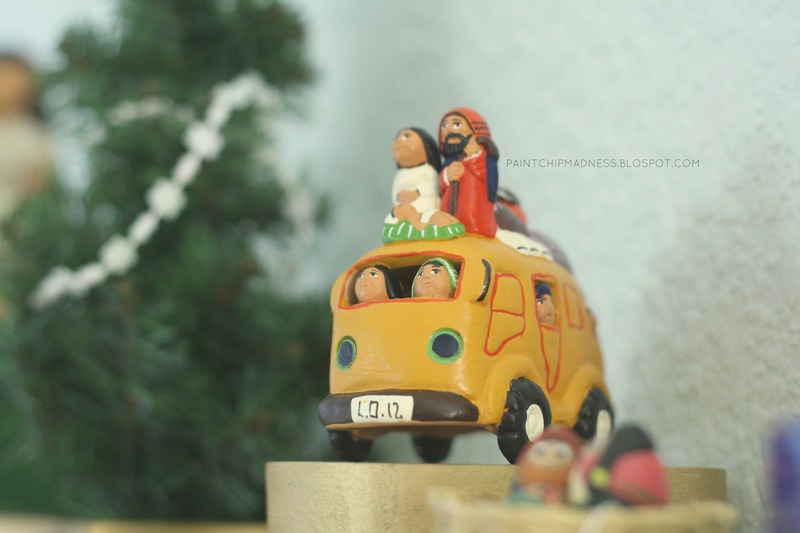 My personal favorite: a nativity scene on an old VW bus. For my fellow dog lovers. And this year's newest addition (and my favorite ornament now) thanks to my mom. Dog-friendly ornaments for the bottom of the tree (our old pup likes to snag them sometimes and then trade them for treats). 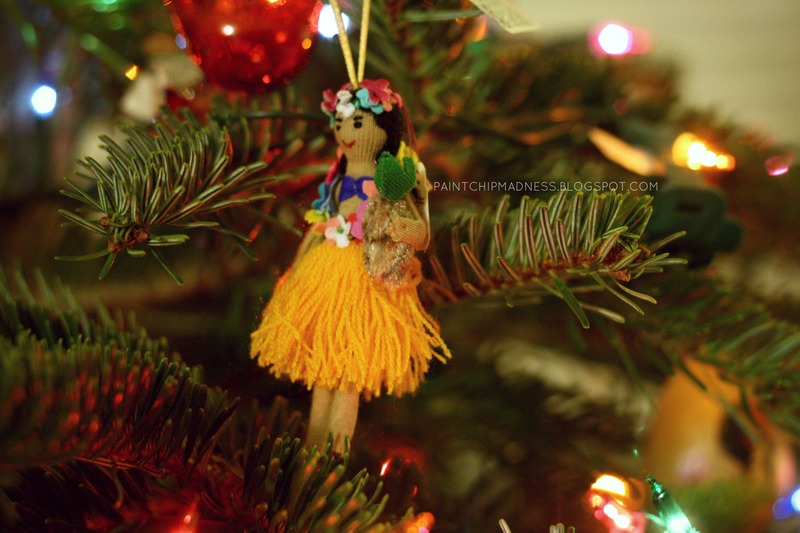 Even hula girls have ornaments. And a star on top. 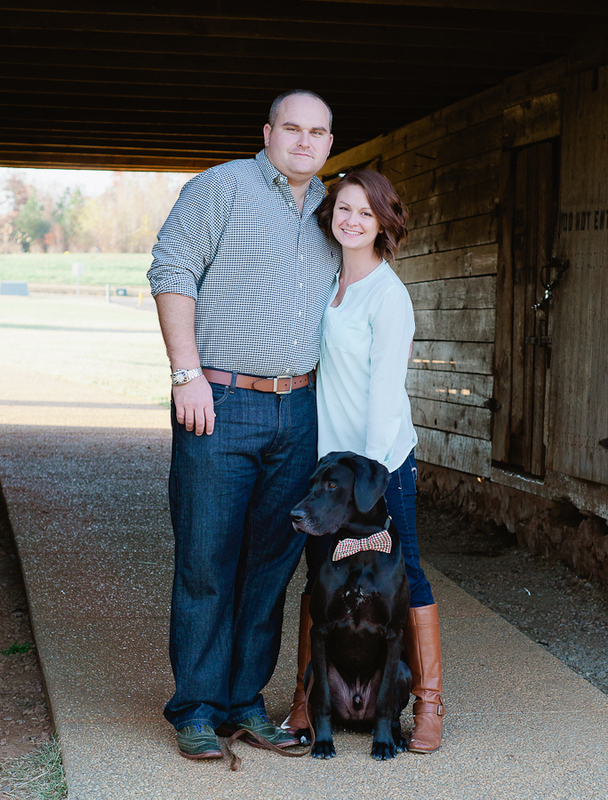 Now that Megan and I have shared our Christmas-y homes, we want a peek into yours! 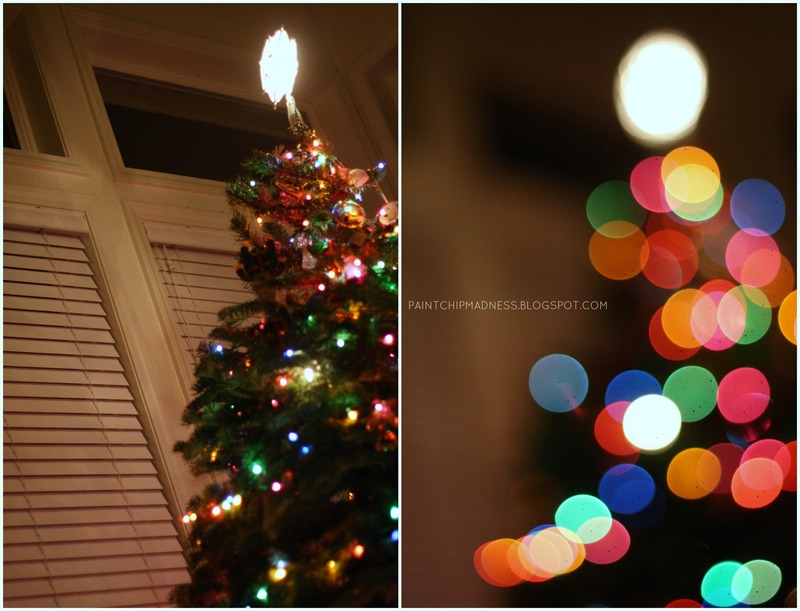 Take some photos (yep, now's the time to practice that bokeh! 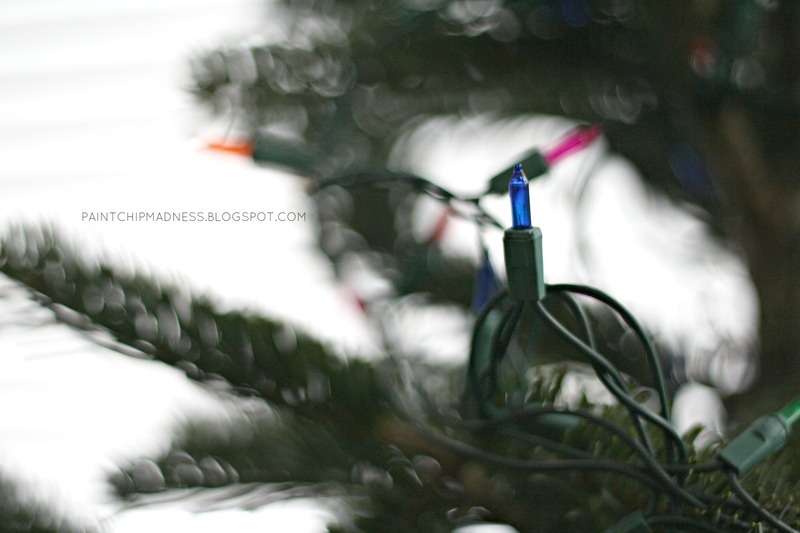 ), write up your post, grab a button below, and then link-up at either one of our blogs. And if you're on twitter/instagram, use hashtag #thecirclelinkup to participate and share with friends. p.s. The link-up is open through the end of the month, so you have plenty of time to snap your photos! Ahh, such a fun link-up! I will have to take some photos of my place once I am done with my decorating! 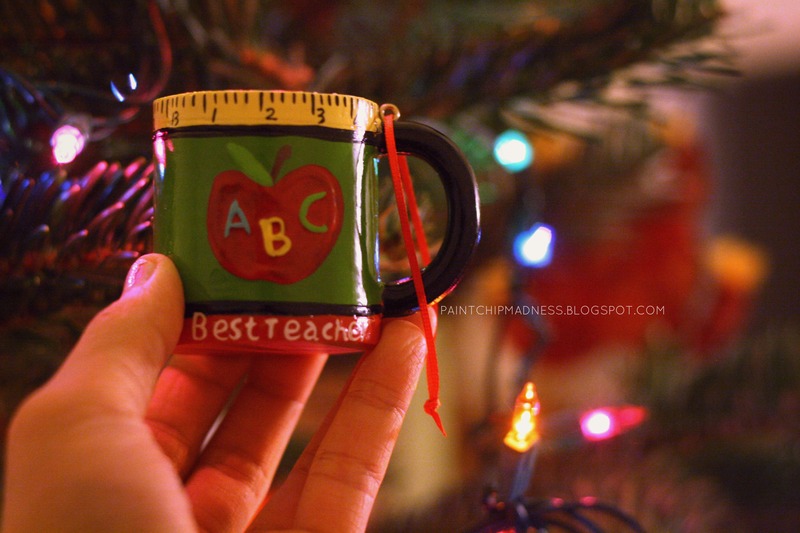 I love those little ornaments, especially the VW one!! Yes, please do! I am in love with looking at other people's Christmas decorations (especially since I can't just drive over and come see them). :) Excited to see your post! Yay, I'm glad you like it as much as me! I'm excited to see your post, Robyn! Thanks in advance for linking up with us! Aah, love this. Too bad my appartment is too small to actually decorate. It would get messy and full. But I think my parents have a tree, or they are still going to get one. Aw, thanks Jess! 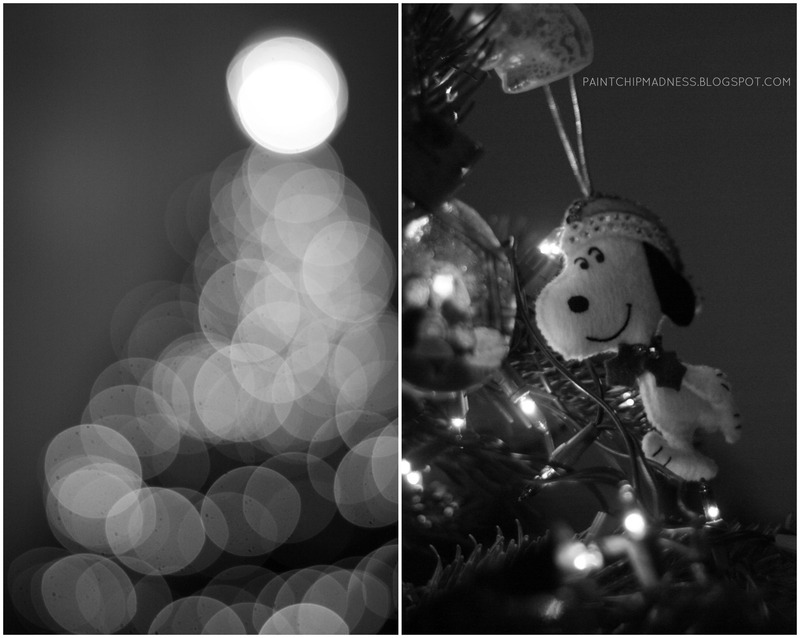 Bokeh is pretty much synonymous with Christmas in my book. And girl, you can most definitely post just tree photos. 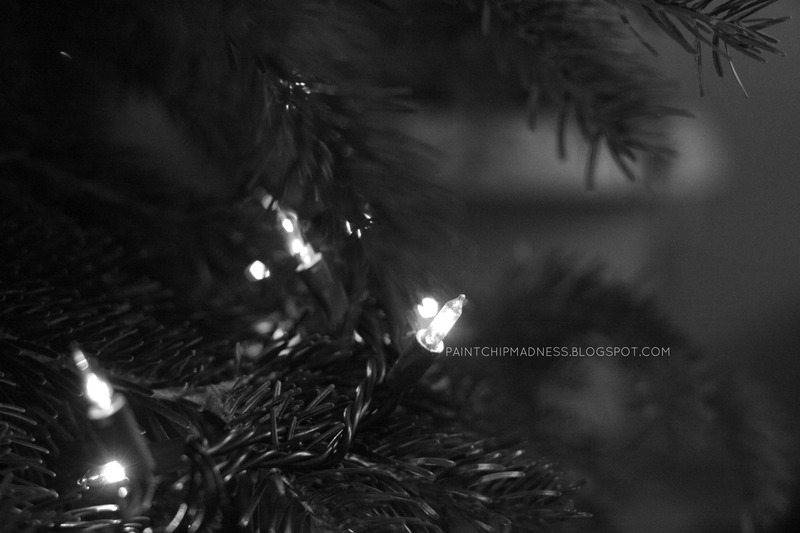 What's Christmas without a decorated tree, right? Oh, and iPhone is fine by me! You can post them to instagram and use the hashtag, too! (lame-o plug-in, haha). That snow! 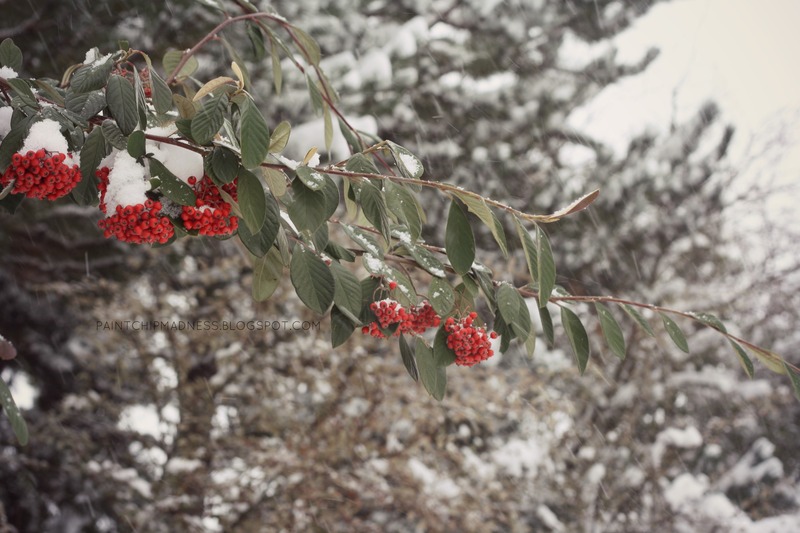 It KIND OF snowed the day before Thanksgiving here in Atlanta, and by kind of, I mean I was standing outside waiting for someone and a little snow flake literally landed on my eyelashes. Living in the south, you take what you can get and well, seeing as how The Sound of Music (NOT the Carrie Underwood version) is one of my favorites, I had a private celebration over the whole ordeal. I just love these photos girl! 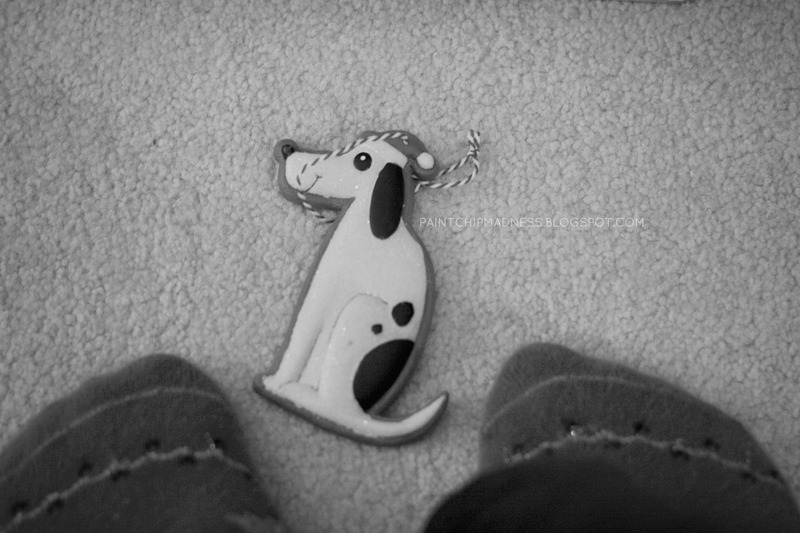 Especially the little dog ornament, it's too cute! The teacher one is cute though too! And that dog one is adorable! It's funny because I was taking photos of the tree and happened to find this underneath some other ornaments we weren't planning on using (we have lots). So I'm glad I pulled it out and hung it on the tree! And I am loving your new photo! You look beautiful in it and I am in love with your outfit, too! so here's a secret. 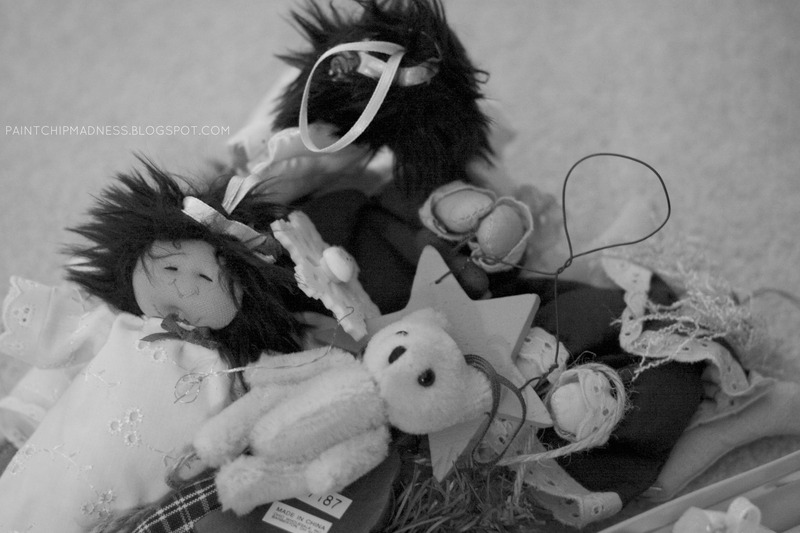 i don't have a nativity scene in my house. yep. that's right. because i'm really picky and the one i want is like mega expensive. a good idea would also just to get pieces over the years. anyways. so i love all this. the pictures are amazos. and the snow makes me want it for like, an hour. and then you can have it back. just long enough to take some photos. you rock. and your next letter is coming soon. i promise. thanks for letting me cohost!! Um, we need to fix that ASAP! 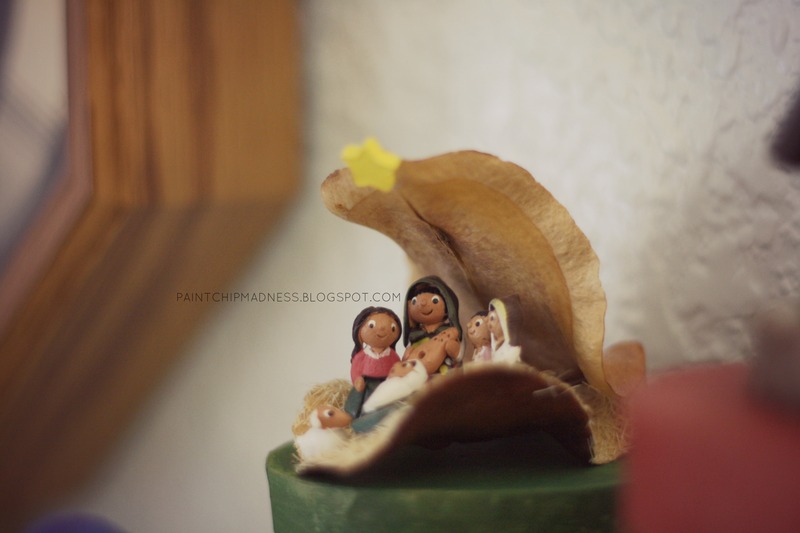 :) I get what you mean about decorations (at least pretty or cute ones) being expensive, though. Why are things so expensive these days? Yet another perk of living at home and "helping" (aka not-so-subtly hinting) at what my mom should/should not buy to decorate the house. Fortunately, she actually asks for it most of the time, haha. Anyway, thanks girl! That means a lot coming from a talented photographer like you. Seriously, I saw yours and was floored by your light-filled lovely photos! And hooray for another letter! No hurry, though, I understand how crazzzy life can get. Also, thank YOU for co-hosting with me! I loved the topic and it seems like a lot other people did, too! And I'm excited to read your post! I love looking at everyone's Christmas decorations. They definitely put me in the Christmas spirit! So glad I found this link up through Megan, love your bokeh photos, I forgot I took some of those a few weeks ago, should have added those too. I'm so glad that I found your link up - and I agree with you! Merry Christmas! also. This is only my second time linking up, but I didn't introduce myself the first time. hello! I'm so happy to be part of this group. You girls are mighty inspiring! It's such a treat. Eeepp. That's fine!!! Actually, the more the merrier. :) Honestly, any and all posts are welcome to be linked up and you aren't the only one who's linked up and shared two posts this month. So no, do not take them down! I loved your ornament post and I'm excited to check out the snowglobe one, too! Also, thanks for linking up! 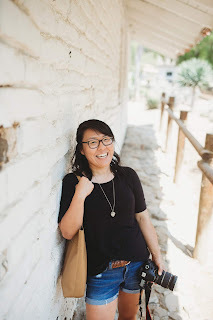 I love meeting new bloggers and if you're interested, I'd love to co-host with you sometime! your pictures are STUNNING!!! you are so dang talented at detail shots!